Montreal singer/songwriter Ian Kelly's previous album, Speak Your Mind, took over three years to reach gold status in his native Canada, a rather appropriate slow-burning state of affairs for an artist whose downbeat and introspective acoustic sound takes some time to make any kind of impression. With Kelly eschewing the D.I.Y. approach of his sleeper hit in favor of recording with a full band at a rented cottage near his Laurentian home, Diamonds & Plastic may bring some extra guests to the party, but it's still more likely to induce a hazy slumber than a debauched passing out. Opening track "I Would Have You" is a slightly jaunty number reminiscent of the beachside pop of Jack Johnson, as is the Hawaiian campfire singalong of "Made Up My Mind," while "Drinking Alone" is a banjo-plucking midtempo tune surprisingly nowhere near as somber as one might expect. But the majority of its 13 tracks suggests Kelly still has the weight of the world on his shoulders as he melancholically croons through the hazy Americana of "The Industrial Way," the string-soaked Beatlesque "Workday," and the politically charged piano rock of "Parliament" in a manner that makes Morrissey seem positively cheerful. Kelly also doesn't seem very happy to relinquish many duties, either, as simple stripped-back ballads like "Your Garden" and "Little Words" fail to make use of his regular touring band, which is only really allowed to let rip on the brooding folk-pop cover version of Billy Idol's "White Wedding" and the eerie theremin-led alt-country of "At All Costs." 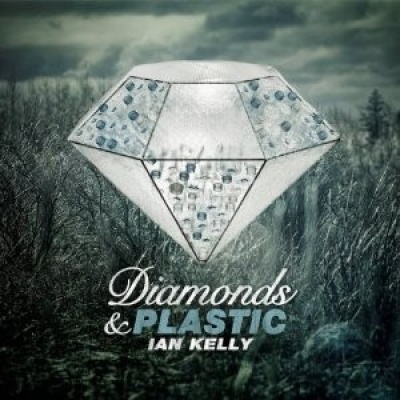 Maintaining his wistful and contemplative nature, Diamonds & Plastic isn't exactly a huge departure from its predecessor, which suggests that Kelly should make room for a third gold certification somewhere around 2014.